Return to the text shape. 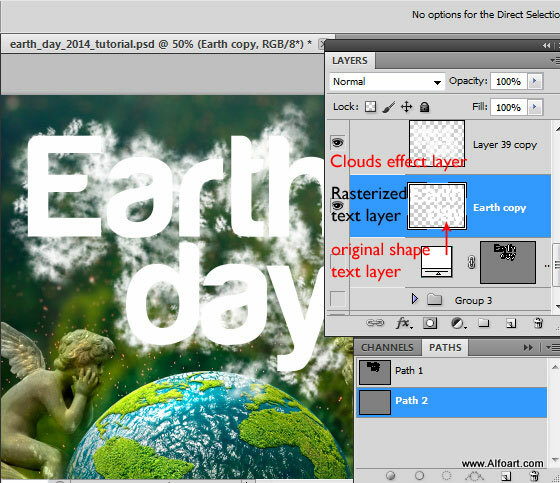 Duplicate it and rasterize the duplicate(right click layer, choose >Rasterize). 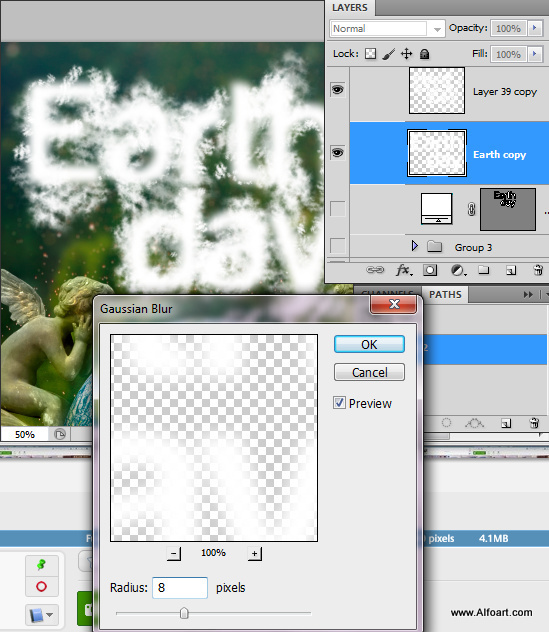 Go to Filter > Blur > Gaussian Blur (8px). 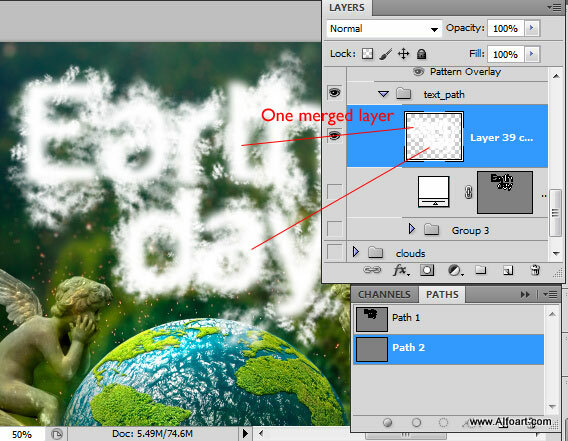 Merge blurred text layer and clods effect layer. 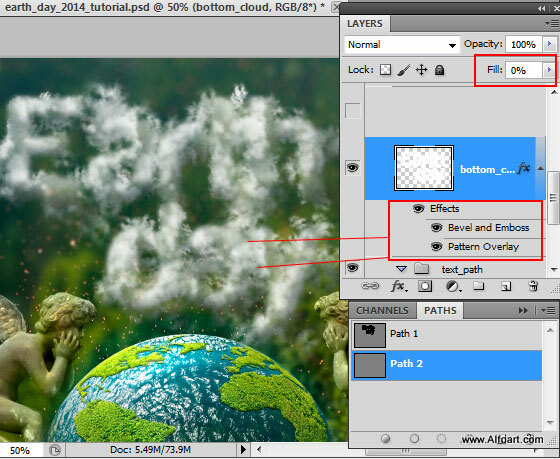 Set Fill = 0% for this layer. 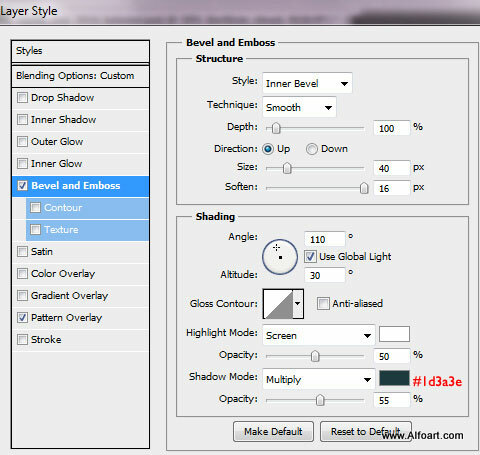 Apply Bevel and Emboss, pattern effects. 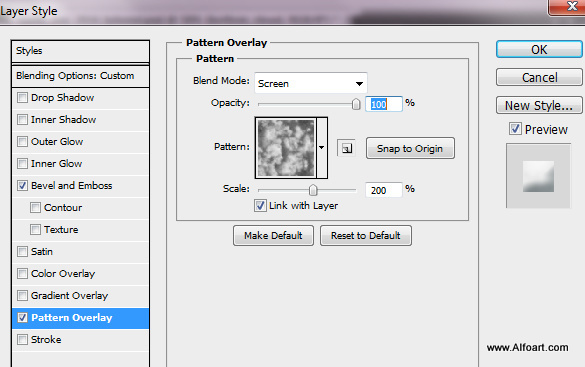 Use Photoshop preset Clouds pattern.